I am a Marine Biologist currently working on a post doc looking at zoobenthic blue carbon stock variability in the Antarctic and the Arctic. In 2017 I completed my PhD with The British Antarctic Survey and the Open University on the biodiversity of Antarctic hard rock communities: biomass and energy flow. After completing my BSc Marine Biology at Plymouth University in 2007 I carried out research with Natural England to promote the use of Marine Protected Areas around the British coastline. 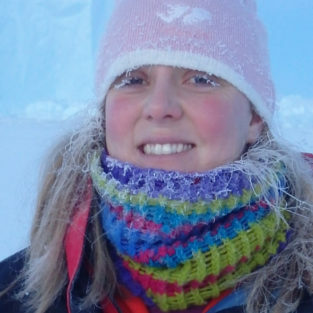 I have since carried out research through four Antarctic winters: 2008 – 2011 and again 2015 as the overwintering Marine Assistant and as the overwintering Marine Biologist. I am currently based at The British Antarctic Survey head quaters in Cambridge, UK but have some filed work in the coming months using a human submersible to look at deep benthic biodiversity on vertical walls.